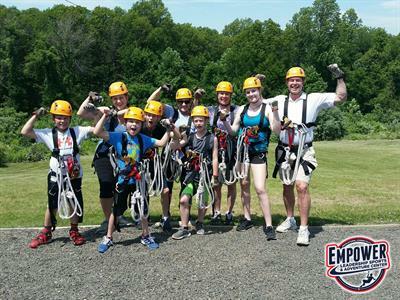 Celebrate April Vacation with a family adventure like no other! 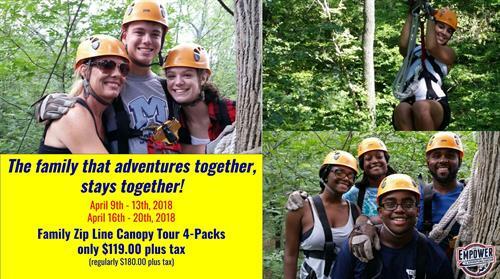 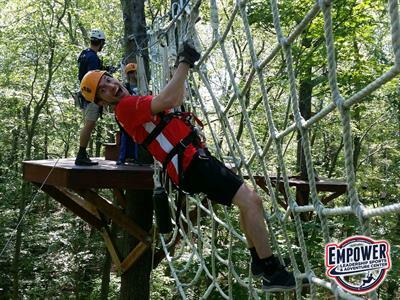 Zip Line Canopy Tour for 4 only $119.00 plus tax (regularly $180.00). 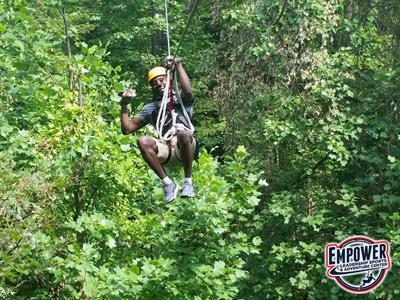 EMPOWER's Zip Line Canopy Tour is fully-guided, full of exciting tree top zip lines and adventure activities, and is perfect for children, adults, families, and friends! 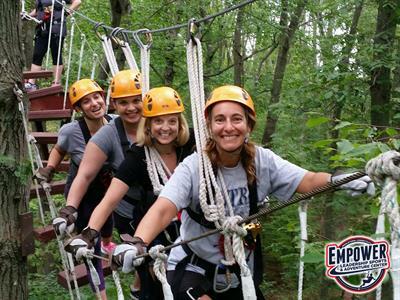 Don't let April Break zip by without an exciting, positive, and memorable adventure.